Every Sunday is our Super Bowl. Our leadership preaches that every Sunday may be someone's breaking point. Many people come to church because they have a need no one else can help them with. Many have never heard gospel music. Many do not know how to "do" church. Most do not even know what to expect from a preacher. While the church exists for Christians, we strive to be friendly to all people. We want everything that happens on Sundays to show people that they can have a new life in Jesus. Practically speaking, how do we create powerful worship experiences? 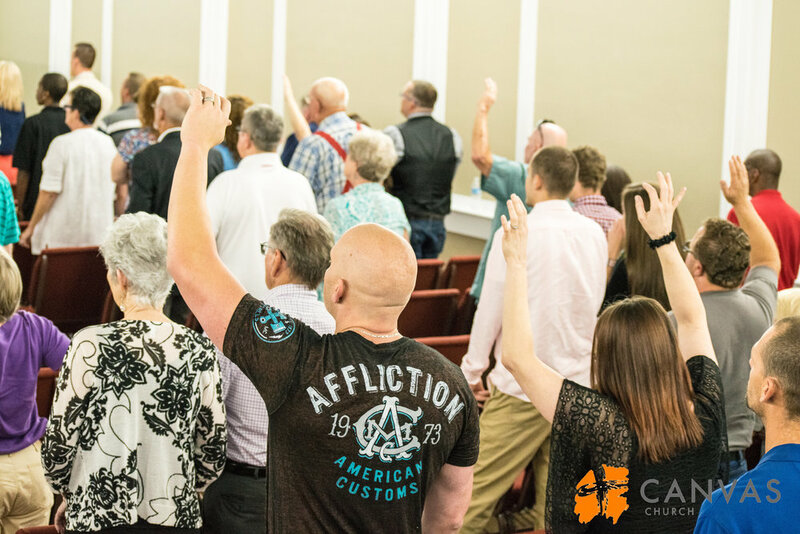 We encourage all of our owners and regular attendees to serve on one of our ministry teams. If you are unsure of what you were created by God to do, you can find that purpose in serving others. You can take a look below at several of our serving opportunities. If you have any questions or want to volunteer, you can reach us at hello@CanvasChurchGA.com.